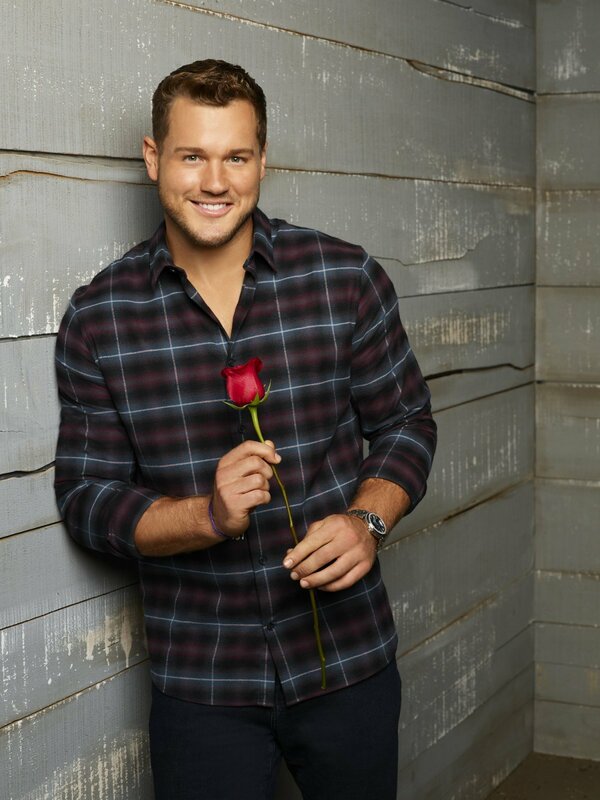 'The Bachelor' spoilers: Colton Underwood's prior alleged ending wrong, Season 23's finale even more shocking! The Bachelor spoilers for the ending of Colton Underwood's season have allegedly changed -- and the newly-reported Season 23 ending is even more shocking and dramatic! [The Bachelor Spoilers Warning: Please stop reading now if you want Colton's final decisions to be a surprise until Season 23 of The Bachelor airs on ABC in 2019 -- including whether Colton is engaged, who he chose as his winner and ended up with, and what the status of his relationship with his final pick is now]. What was the original The Bachelor Season 23 finale spoiler about who Colton picked? Last month, Reality Steve spoiler blogger Steve Carbone reported Colton was engaged to the winner of his 23rd season of The Bachelor and the woman he'd left the show with when filming wrapped in November was Cassie Randolph, a 23-year-old teacher and speech-language pathology grad student from Huntington Beach, CA. However, Carbone had reported that Colton had skipped several of the final stages of The Bachelor's process -- including possibly the traditional Final Rose Ceremony in which the Bachelor typically dumps his runner-up bachelorette moments before popping the question to someone else. Carbone claimed Colton had gone on only two of his planned three overnight Fantasy Suite dates in Sagres, Portugal -- the first with Tayshia Adams, a 28-year-old fitness instructor from Newport Beach, CA, and the second with Cassie -- and then he had suddenly decided to pick Cassie as his final bachelorette. According to Carbone, Colton had then ended the season prematurely and immediately dumped Tayshia and the other bachelorette in his Final 3 -- Hannah Godwin, a 23-year-old media manager from Birmingham, AL who he had not even yet had his Fantasy Suite date with -- and gotten engaged to Cassie. But the spoiler blogger said he was also unsure of when or where Colton and Cassie's engagement had occurred, or whether the couple had even still ever traveled to Spain -- which was supposed to be the site of the season's Final 2 dates and Final rose Ceremony -- and filmed a formal Final Rose Ceremony. However in a new podcast released Thursday, Carbone suddenly revealed that while he got the "right girl," he got the "wrong ending" to Colton's season of The Bachelor! What is the new The Bachelor Season 23 finale spoiler about who Colton ended up with? According to Carbone, the 26-year-old charity founder and former professional football player is not engaged after all, and Cassie actually quit the show before later reconciling with Colton. "What I initially reported was correct -- he went on the date with Tayshia, the overnight date, [and] went on the overnight date with Cassie. And as I was told, something happened on that overnight date that made Colton want to be with Cassie and basically end the show," Carbone said in his latest Reality Steve podcast. "Well, I find out what that was, and what is was was on that date, Cassie told him, 'I don't want to be engaged,'" Carbone revealed on his podcast on Thursday. "She essentially pulled a [Peter Kraus]. Like, 'I'm 23, I don't want -- I don't want to be engaged.' And I'm being told, and I can't 100% confirm this, but I'm being told this is where the fence jump happened. Because on that overnight date, Cassie left the show." "However, everything I told you still played out. He still eliminated Hannah G. Never went on the date with her. Told her he wanted to pursue Cassie. Eliminated Tayshia. Told her, '[I] wanna be with Cassie.' But what I didn't know was the big thing. That Cassie had actually left the show at that point. I thought she was still there." According to Carbone he has now learned that Cassie actually returned home to California after she decided to quit the show during her overnight date with Colton in Portugal -- and Colton then also returned to America and essentially chased her down. The Bachelor's production crew then reportedly filmed Colton tracking Cassie down in the Los Angeles area and telling her he still wanted to be with her whether or not they were engaged -- resulting in the pair resuming dating. So are Colton and Cassie still together now? "So, right girl, Cassie, [but] wrong ending. They are not engaged," Carbone added. "But Colton and Cassie are definitely together. They have had 'happy couple' visits since filming has ended. They are dating. But they are not engaged." Carbone said the Colton and Cassie now plan to continue dating for the next three to four months and see how things go between them. "The thinking is -- from what I'm hearing -- that they are going to use these next three to four months from November when filming ended until the finale [airs] in March, and then we're going to see what happens on the After the Final Rose," he said. "Like, 'Is he going to propose, and is Cassie going to change her mind by March that she can see herself engaged?'" "My guess? No," Carbone added. "My guess is Cassie is very young, and her feeling of, back in November, telling Colton, 'I'm not ready to be engaged,' [is] probably still going to stand in March. But that's just a guess. We'll see what happens." "I apologize for reporting that they are engaged. They are not," he said. If the spoilers prove to be accurate, The Bachelor will have a lot of footage missing from Season 23 -- including Hannah's overnight date, the Final 2 women meeting with Colton's family, the Final 2 women's last one-on-one dates with Colton in Spain, and, of course, a Final Rose Ceremony. '90 Day Fiance' spoilers: Are Eric Rosenbrook and Leida Margaretha still a couple? Are they married? !